Who can take this workshop? At fadein, we don’t believe that creativity has levels, and so, all levels are welcome. We guide you to make creative writing part of your life, where you can start and finish your projects and keep producing more and more creative work. To express yourself creatively is important, and it’s needed for every part of your life. A lot of writers who come to fadein are unable to manage their busy schedules and find time to write and complete their projects. 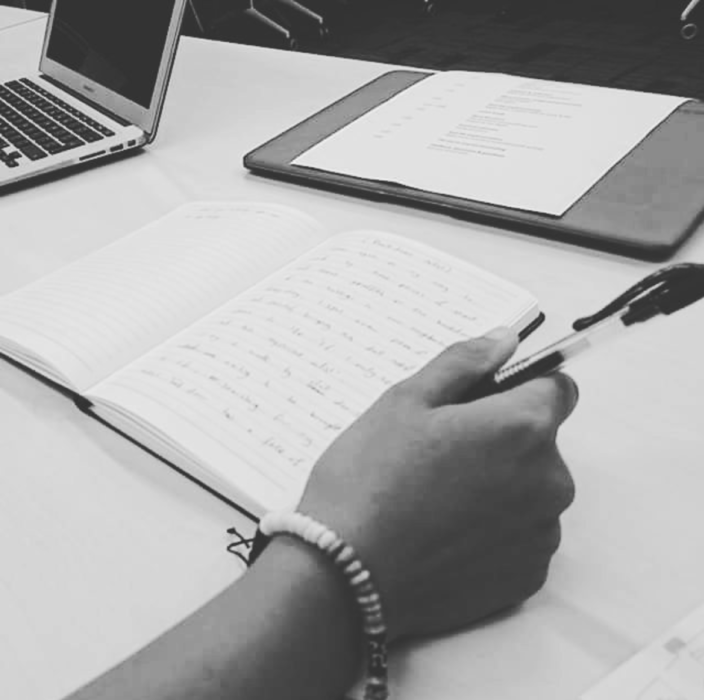 With this writing program, designed by founder Nadia Tabbara, writers receive 5 emails over the span of 2-3 months that guide them through each creative task in order to complete a short story, get the needed push for their novels, or write their movie scripts. So far, writers who have gone through the email programs have written upwards of 60 pages of novel in under 2 months. One screenwriter wrote 30 pages of a new feature film in 1 month. It does work. What are the emails like? The opening email is actually a series of several emails with page-count deadlines. Each email will give tricks, tips and tools to write forward. The following 4 emails each have a tool and the consequent result of the tool. Some tools are character-based, others are rewriting and brainstorming. All tools are accompanied with a deadline for new work. Intermittently, writers get prompts regarding their creative process so they can better analyze what works for their creativity. Writers must meet deadlines or they do not continue in the program. There are exceptions to this rule, but not many. To write well, you must write badly and then rework. Set your own schedule and write at your own pace. Ask questions via email and track your progress with your trainer.